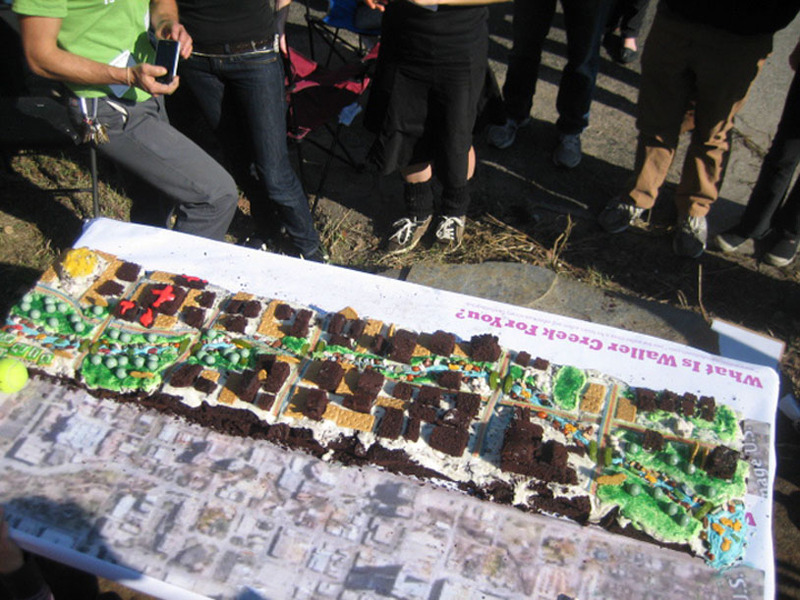 And Brainstorming And Then Eating The Cake Too. 1.The number of people who participated (over 100), spilling out into the street and stopping traffic. 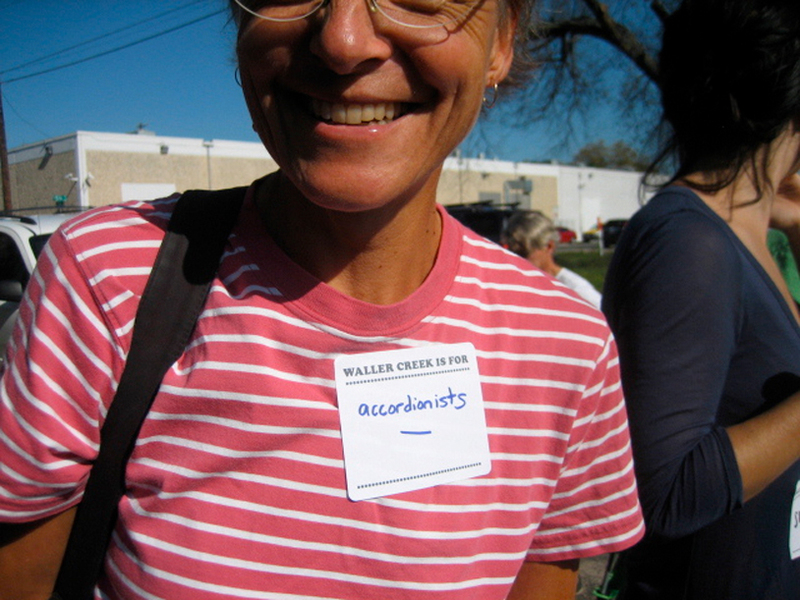 2.The large number of people (close to 100) who were unwittingly recruited to spread the Waller Creek word (through the patented brainstorm nametag for cake swap program). 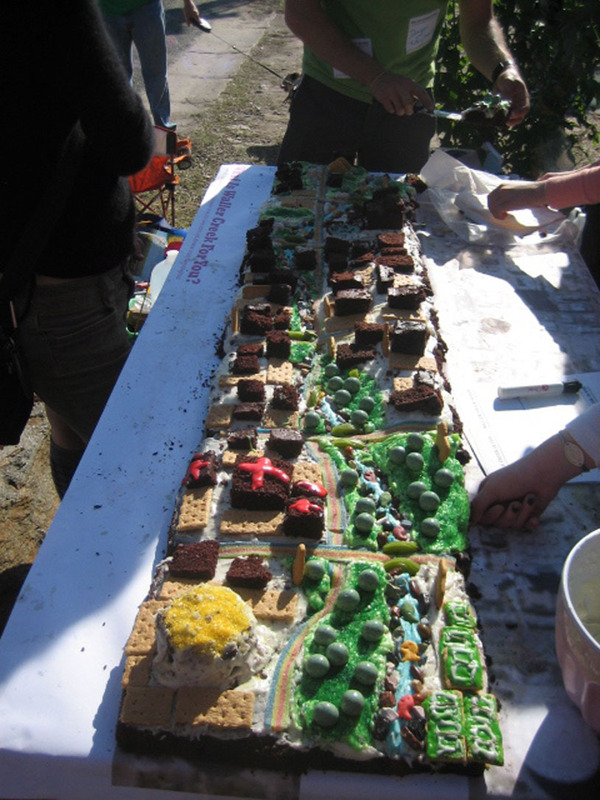 3.The number of people of all ages who worked on the cake at the same time (almost 25), transforming twelve chocolate cakes into a wonderfully tasty and surprisingly beautiful model of the Waller Creek planning district. A more detailed report and incredible images will follow shortly. In the meantime, click (here) for more information on Waller Creek Is For Lovers and images from earlier endeavors. 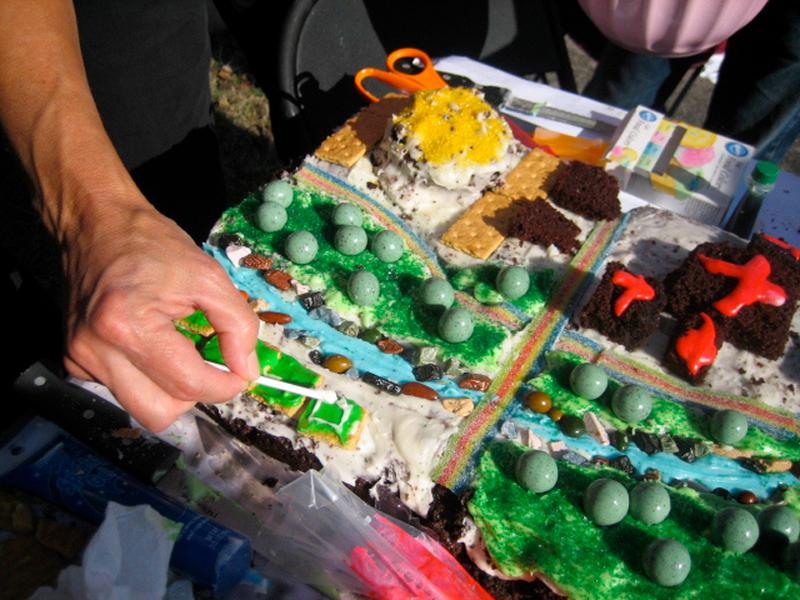 Tags: community building, Comprehensive Plan, make austin weirder, Projects, temporary land use policy, Waller Creek Is For Lovers! And one of the best ideas I’ve seen to get a conversation started about something! Thanks Adolfo. Sorry you missed it too. It really was more spectacular than we could have possibly imagined both in terms of the amount of participation and how great it ended up looking. 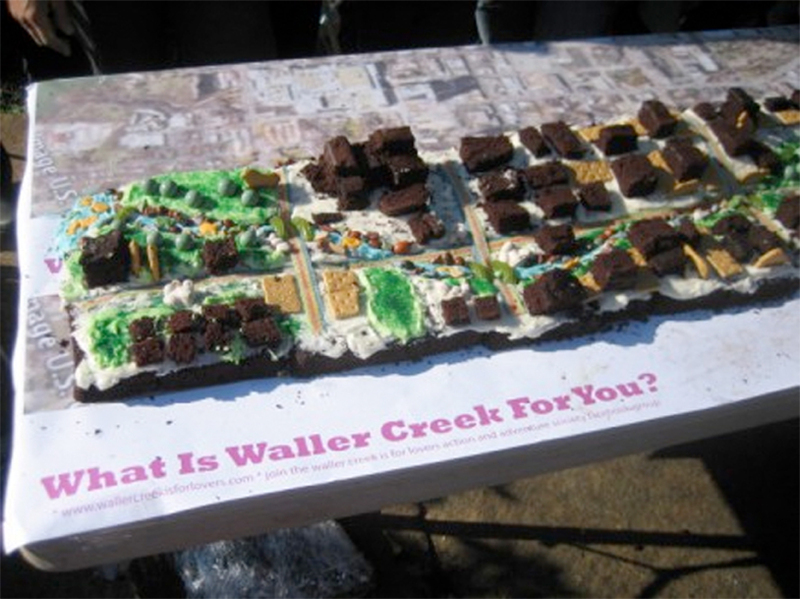 If you’re not already a member of the Waller Creek Is For Lovers Action And Adventure Society, join now. 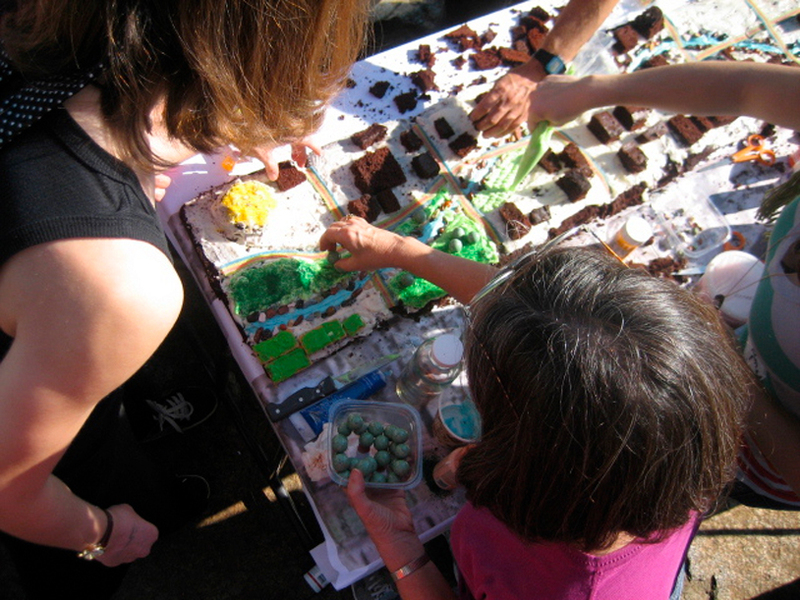 There are going to be some great activities and possibilities coming up soon for which we could really use you help.